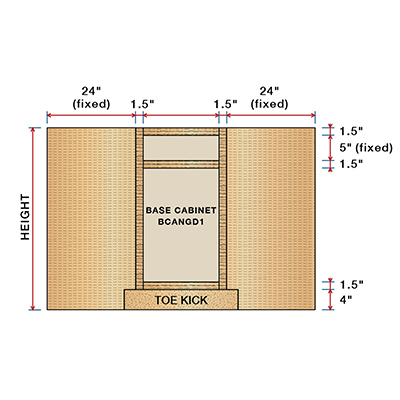 A 45 degree base corner cabinet. Available with no shelves or with one adjustable shelf. NOTE: Shelf must be installed BEFORE the cabinet top. Our ready to assemble cabinet boxes come with interiors finished with PureBond formaldehyde-free technology. Our ready to assemble cabinet boxes come with interiors finished with PureBond formaldehyde-free technology.